Size 3,5,6 currently out of stock. 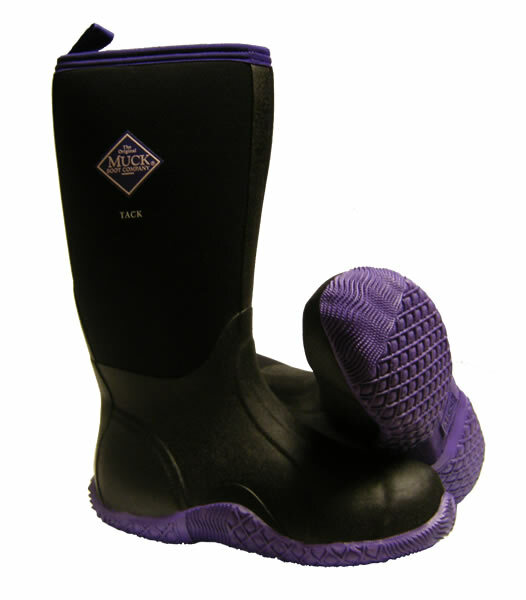 You won't find a better boot for cleaning stalls and tending animals than the Tack. 10mm kick rim for hands-free removal. Self-cleaning outsole wraps the entire perimeter to provide maximum protection and stability on steep terrain. Instep protector (rubber reinforcement) for added protection around hoofed animals. Added toe protection with a wrap-up toe bumper. CR flex-foam bootie (5mm) with four-way stretch nylon, snag-resistant cover is 100% waterproof, lightweight, flexible, buoyant, and will form to virtually any calf girth.